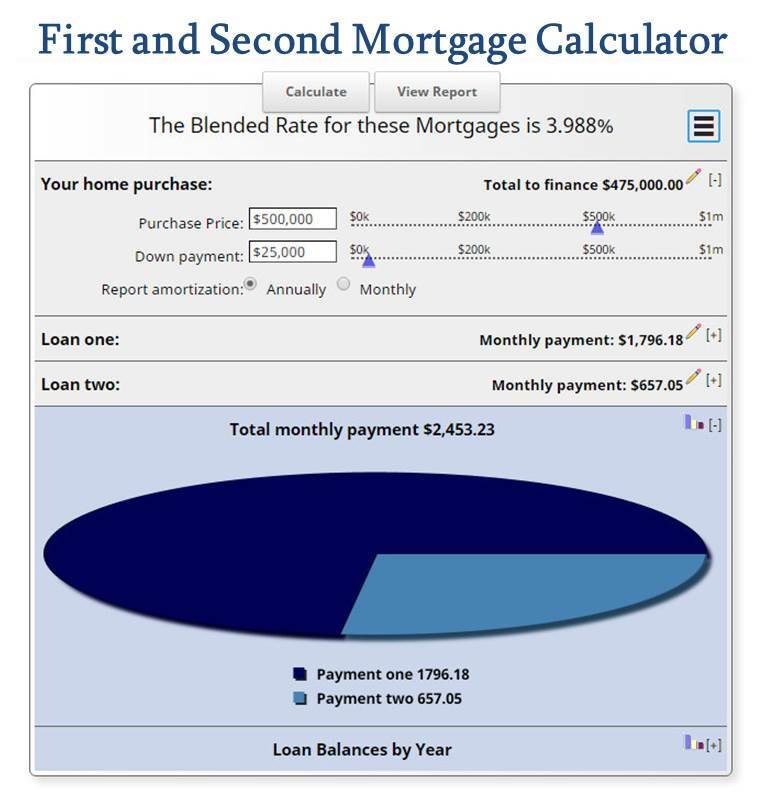 This First and Second Mortgage Calculator calculates the effective interest rate of a first and second mortgage. Or use a traditional mortgage payment calculator. Combining a first and second mortgage is useful when restricted by conforming limits. Buy a house above conforming limits by combining a first and second home loan. Another option is to use a first and second mortgage to prevent mortgage insurance. Combining a first and second mortgage can be a useful strategy, use this first and second mortgage calculator to see if the strategy makes financial sense. This First and Second Home Loan Calculator calculates the effective interest rate you would pay if you use a first and a second mortgage to finance the purchase of your home. Looking for a different mortgage calculator? Find more Mortgage Calculator.